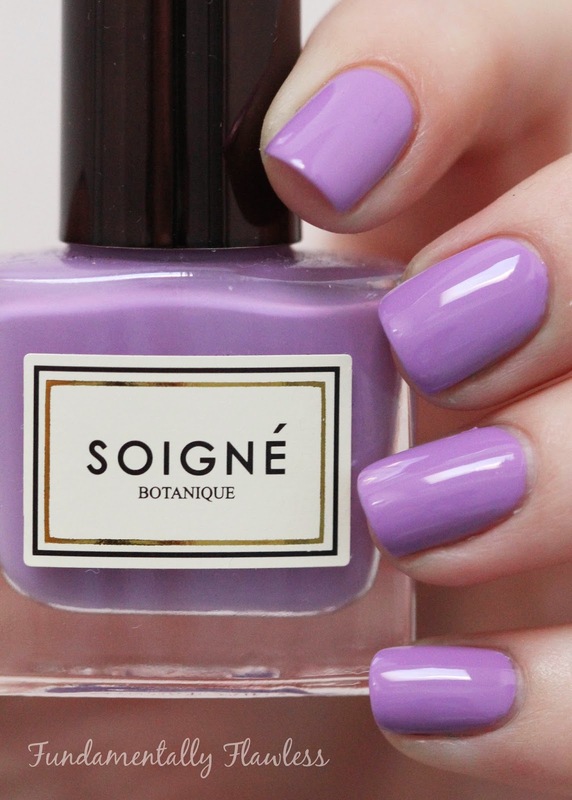 I have been so excited about posting these beautiful polishes from Soigné Botanique because - oh, just look at them! They are such gorgeous colours. I've had the photos taken for ages, just haven't had the time to write a post about them, but here they are. 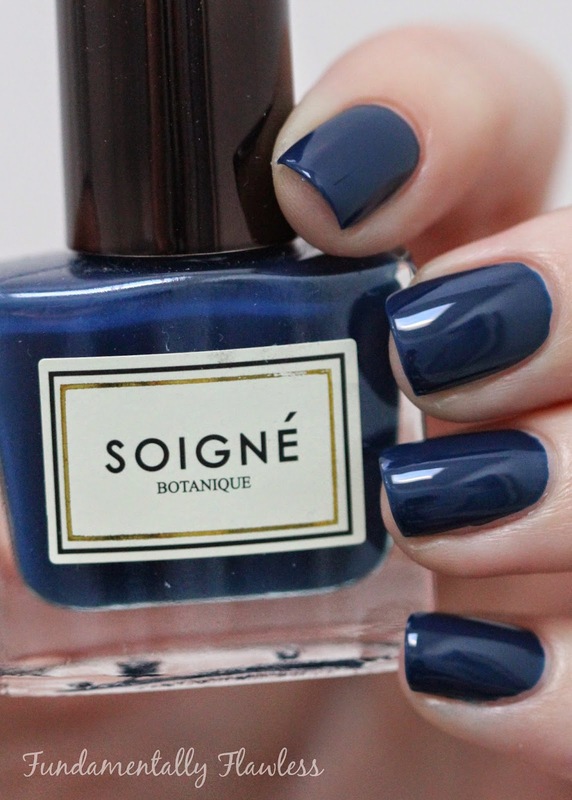 Soigné are a relatively new brand as far as I can tell - and one of the things I love about them (apart from the colours) is that they are 5-free polishes and vegan friendly. They also have up to 85% plant-sourced natural ingredients, which is reflected in the pretty French names for the polishes. I was sent Eau* (light blue), Clitoria Ternatea* (dark blue) and Ube* (lilac) to try out. The bottles are the now quite familiar rectangular ones which have brushes which make application easy. 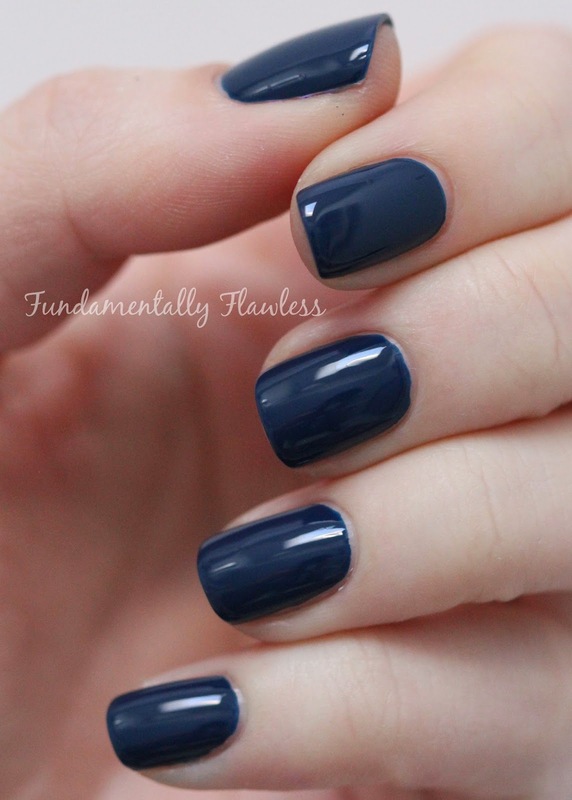 The formula is pretty opaque and quick-drying - I used just two coats in the photos below. I've also used them a few times in some watermarbling, which you can see here and here on Instagram. 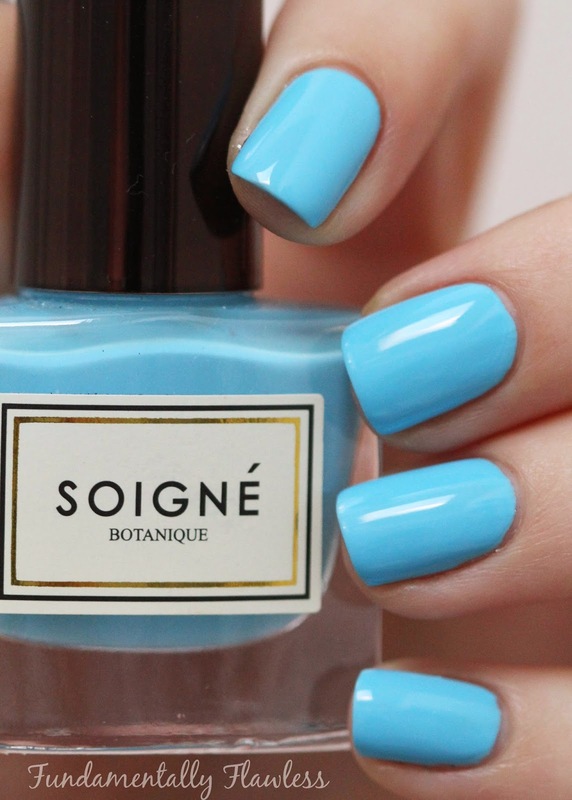 'Eau' is a stunning bright light blue which I absolutely adore and can't stop looking at when I'm wearing it. I will definitely be wearing this one a whole lot this coming spring and summer. 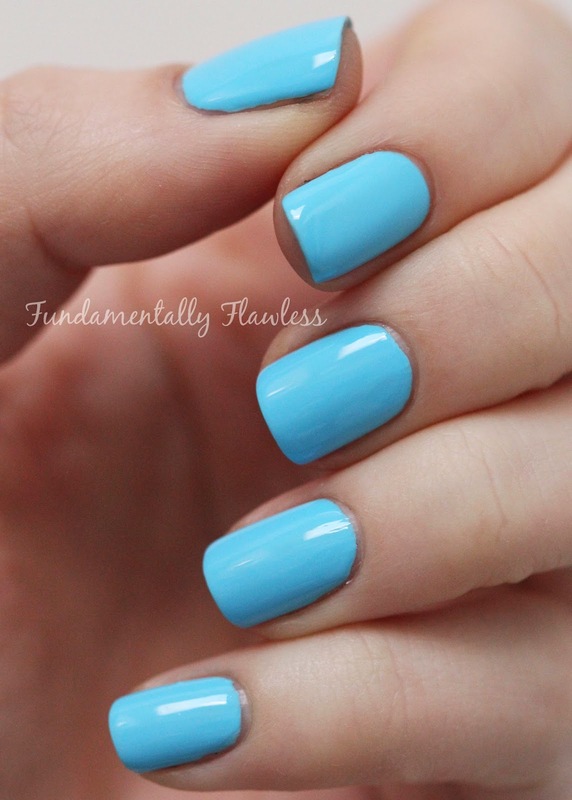 Alright, I'll admit, I laughed at the name 'Clitoria Ternatea' too until I did a Google search and discovered that it's a bright blue flower - and the blue isn't anything like this polish, but I love the polish all the same. It's a bit more royal than a plain navy blue and I've been wearing it a lot this winter. I had to Google 'Ube' because I had no idea what it was. 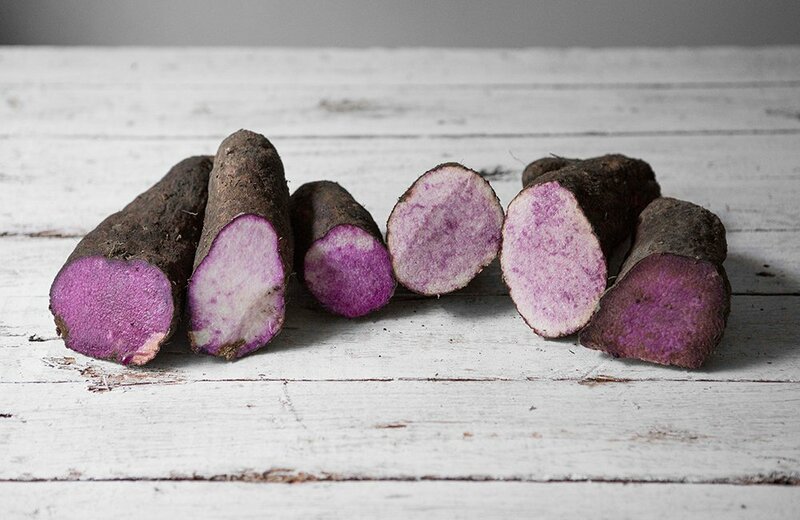 I assumed it was some sort of flower - but no, it's actually the Filipino purple yam which is a popular ingredient in ice cream. Who knew? Anyway, general knowledge apart, this is such a gorgeous spring-time purple. There are 28 colours in their Core Collection and honestly I want them all! At £11 each though, they're not the most reasonable polishes on the market at the moment. 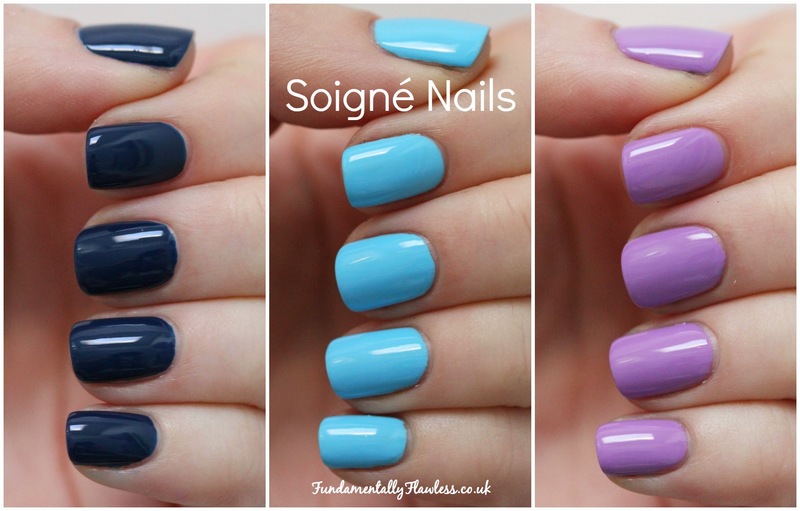 But the good news is that all three of the polishes in this post are currently £6.50 on the Soigné website. I'm in love with Eau! I got the Fruit Marbles collection for Christmas, I still haven't had chance to use it though! !